It’s Mother’s Day weekend so I’d like to encourage all of my readers to think about their moms. I never had a mom, myself. I find the entire idea disgusting. What kind of 50-year-old woman likes giving baths to children? It seems like an excuse to rub kids and I am not cool with that. I have a dad though and we do shower together, but that’s just because we believe that our real mother is Mother Earth and it’s important to conserve water. That, and I find him sexually attractive. 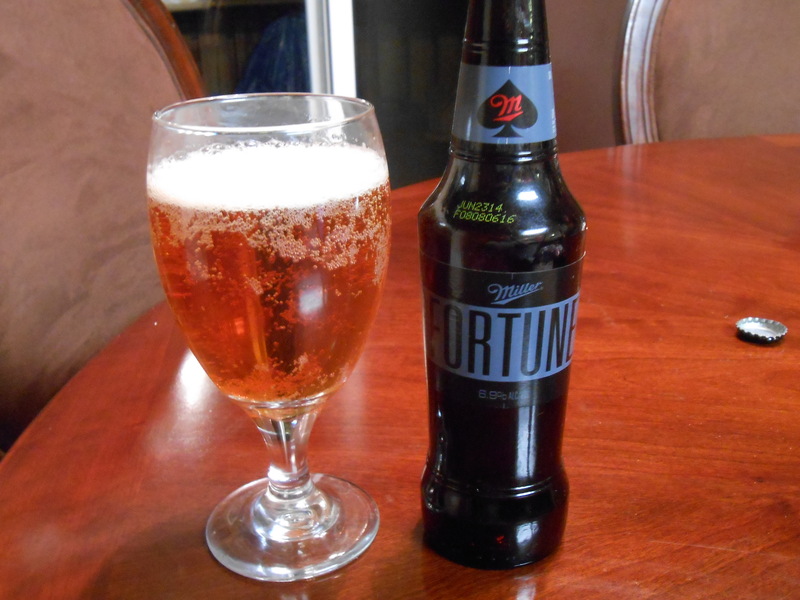 Before I get to this review, I beg someone to tell me why Miller is making this beer. What is the gimmick? It left me more confused than satisfied. Also, remember to follow us on Twitter and Facebook for updates. I’ll do the mailbag next week so submit any questions you have to one of our many e-mail addresses. Appearance: Clean and clear. Fresh honey. Grain ready for harvest. The carbonation is strong and steady. A milky head pools in the middle of the glass. It feels almost romantic. Smell: The first time you open a box of Corn Flakes, like artificial sweetener. There may be something else going in there, but it is very hard to get past the unnatural sweetness of this beer. Taste: The insipid taste of a glass of water that you accidentally let sit in the sun for a few hours. A weak, watery body that leaves countless bubbles of carbon-dioxide all over the tongue. Some rice and a lot of corn syrup. It’s hard to get much else besides a lingering taste of alcohol. This beer is far too sweet. Overall: I can’t think of any situation in which someone could enjoy this beer. There seems to be some gimmick behind it, but I can’t figure out what they were going for. Beer shouldn’t rely on a gimmick anyway. 46/100. Up Next: Either a stout of some kind or Chimay Blue.